Yet there are still areas in my nation that have never had electricity. So much money is lost in the economy as businesses struggle to thrive and quite often die prematurely because set up and running costs are too high so the cycle of poverty continues. This is why this project is so dear to my heart and I’m pleased that Panasonic is taking up this cause. I know the entries close at the end of this month but I encourage you to be a part of it in some way. I’ve created and entered my design for this cause and I would really appreciate if you voted or even created your own design and shared it with others. 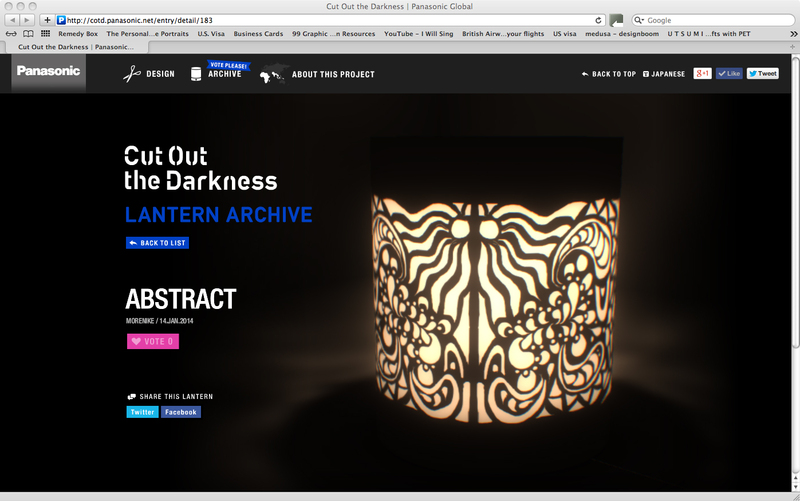 Below are screen shots of my design on the Panasonic “Cut out the darkness” website. 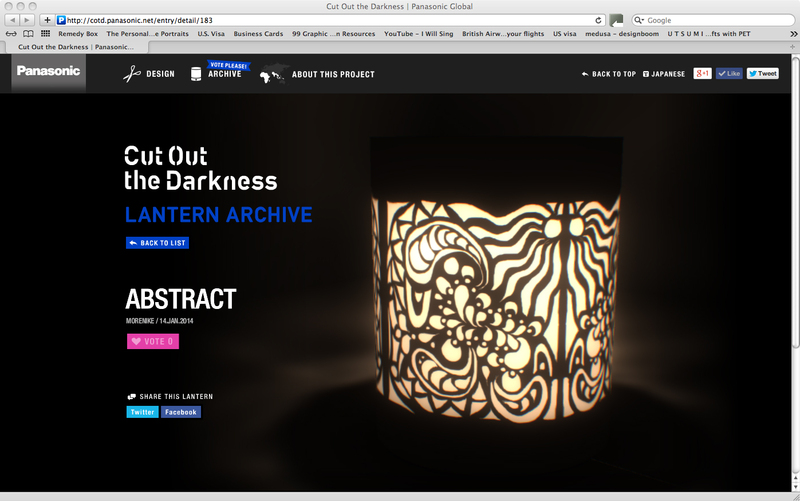 Please vote for my design here and be a light in someone’s world. Thanks! 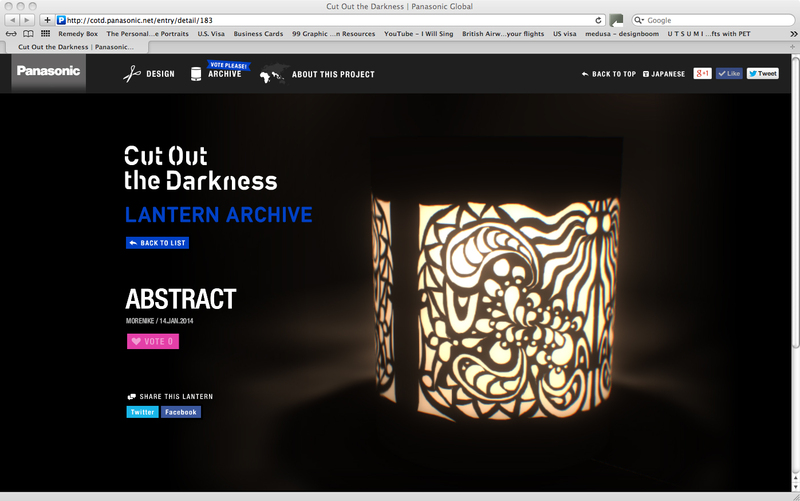 This entry was posted in Uncategorized and tagged 100 thousand solar lanterns, cut out the darkness, electricity, Julene Harrison, Lagos, lanterns, light, Morenike Gbadamosi, Nigeria, Panasonic, paper craft, power, thoughts paper scissors. Bookmark the permalink.